Harley Quinn enjoying a bath. 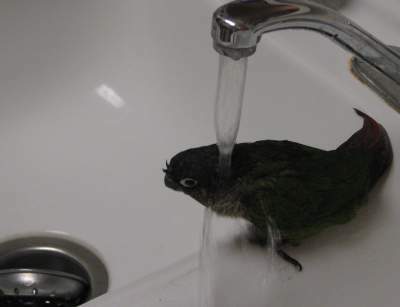 Well, enjoying a faucet, anyway. I placed Harley on the sink and he began to walk under the faucet. As soon as the water hit, he started running and flapping. He ran back and forth a few times. 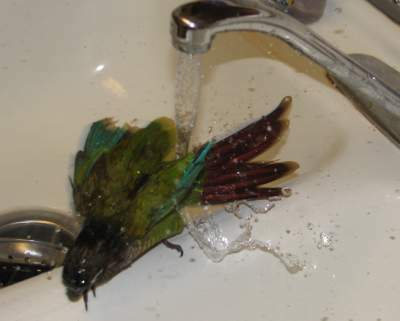 Normally, he takes his baths in his water dish (which is why you should change a bird's water dish, daily). 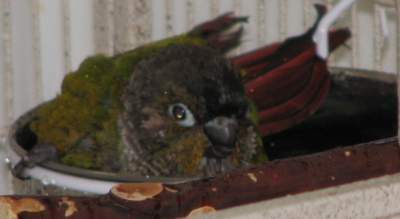 Another shot of Harley in his water dish. He really gets into it, sometimes. 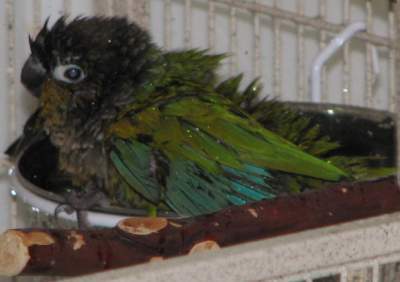 That's why we have some waterproof sheeting on the wall behind his cage.